HARTWICK - Orrin Dixon Higgins, 76, a former New York State Trooper, Undersheriff for the Otsego County Sheriff's Department and longtime Justice for the Town of Hartwick, passed away Wednesday afternoon, September 21, 2016, at his home in Hartwick with his family by his side. He was born June 8, 1940, in Hunter, a son of Leland and Mildred (Nicholls) Higgins. After graduating from high school he attended the State University of New York College in Oneonta with the idea of becoming a teacher. He became a student teacher, but changed course and went on to attend and graduate from the New York State Police Academy . His career in law enforcement spanned over fifty years, during which time he served as a New York State Trooper based out of several different posts in the Central New York region. He also served as Undersheriff for the Otsego County Sheriff's Department and was currently serving as a Justice for the Town of Hartwick, a post he held for twenty years. 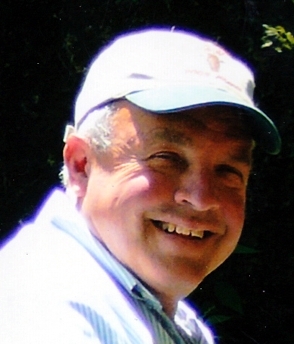 He was an active member of the Hartwick community. He served on the Hartwick Planning Board for many years, organized community events, served on the Board of the Hartwick Insurance Co. and lobbied to keep Hartwick's schools active. He was also actively involved with keeping the Hartwick Center Union Cemetery maintained and in good order, and was instrumental in preserving the Swart-Wilcox Home, now a museum in Oneonta. It was always important to Orrin that history be preserved and passed on to future generations, which he did through the collection and restoration of antiques and buildings throughout the counties. Always an environmental advocate, Orrin worked extensively with Otsego 2000 and Otsego Land Trust through the years and preserved as many open acres as his bank account would allow. It was at a dance at the Fly Creek Hotel that Orrin met Mary E. Millea. The pair was a perfect match and were married July 29, 1974, in a ceremony at St. Mary's Catholic Church in Cooperstown. Sadly, his beloved Mary passed away just this past December following a long illness. Orrin will be greatly missed by his family and the community at large. He was always known for his sense of humor, the twinkle in his eyes, compassion for people and animals, and commitment to fairness and justice. Orrin is survived by three daughters, Brenda Nass (Bryan) of Ellensburg, Washington, Tamara Ashley (Matt) of Cortland, and Carrie Higgins Lorenz (Mike) of Hartwick; son Orrin D. Higgins, Jr. (Melissa) of Hartwick; special member of the family, Paige Shaul (Nicole); and four grandchildren, Mitchell and Morghan Nass of Ellensburg, WA and Lily and Sawyer Higgins of Hartwick. He is further survived by his brothers, John (Mary) Higgins, Richard (Kathy) Higgins and Leland (Lucy) Higgins, his nieces Shelly, Jackie and Becky and nephews Bill, John and Rich. He is also survived by many members of the Millea family including his wife's father, six brothers and one sister and their families. With respect for Orrin's love of his stone house at the four corners in Hartwick, calling hours will take place at 3109 County Highway 11, from 3-6:30 p.m. on Wednesday, September 28, 2016. Orrin loved flowers, but for those who wish to remember him with a memorial gift, his family suggests that donations be made to the Hartwick Emergency Squad, P.O. Box 208, Hartwick, NY 13348, or The Hartwick Historical Society, P.O. Box 1, Hartwick, NY 13348. The family would like to extend a special thank you to Bassett Medicine and Special Care Units, Bassett Cancer Treatment Center, Hartwick Emergency Squad, his home health aides and his many friends and family members who supported him through these hard times.